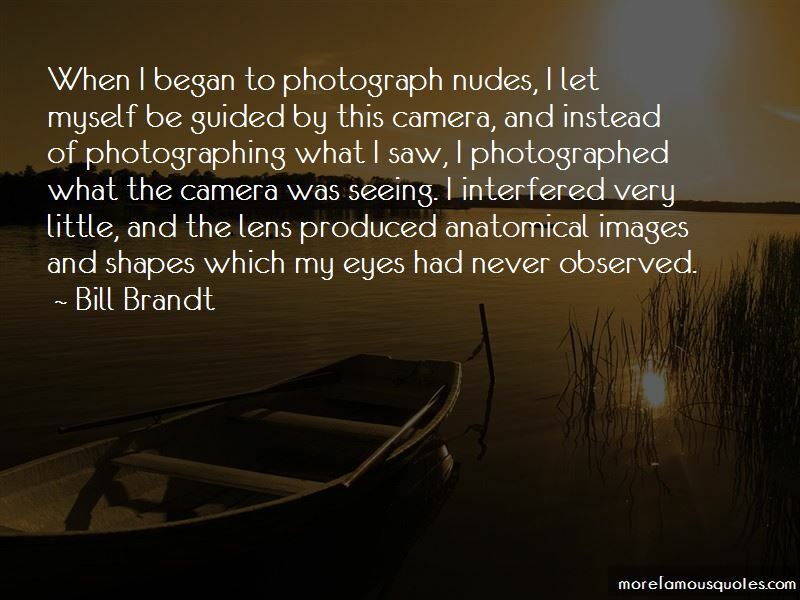 Enjoy the top 25 famous quotes, sayings and quotations by Bill Brandt. It is the gift of seeing the life around them clearly and vividly, as something that is exciting in its own right. It is an innate gift, varying in intensity with the individual's temperament and environment. 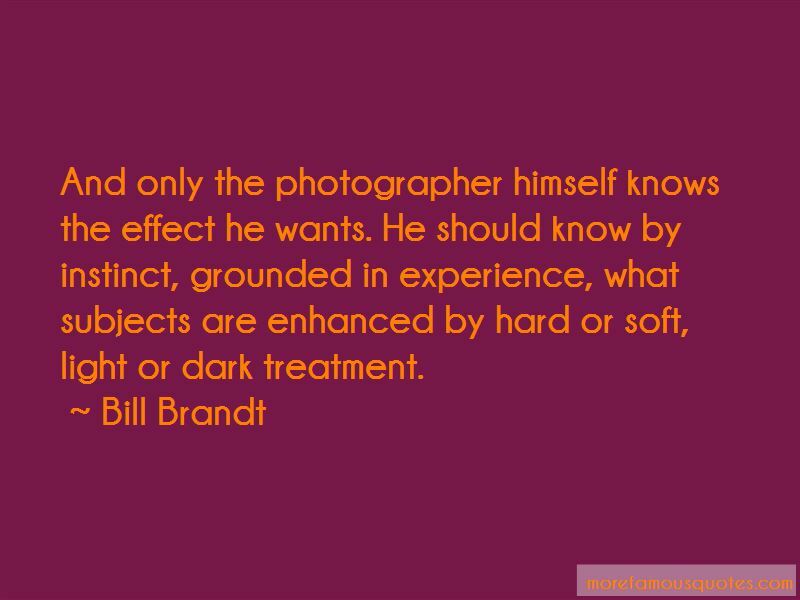 It is essential for the photographer to know the effect of his lenses. The lens is his eye, and it makes or ruins his pictures. A feeling for composition is a great asset. I think it is very much a matter of instinct. It can perhaps be developed, but I doubt if it can be learned. To achieve his best work, the young photographer must discover what really excites him visually. He must discover his own world. 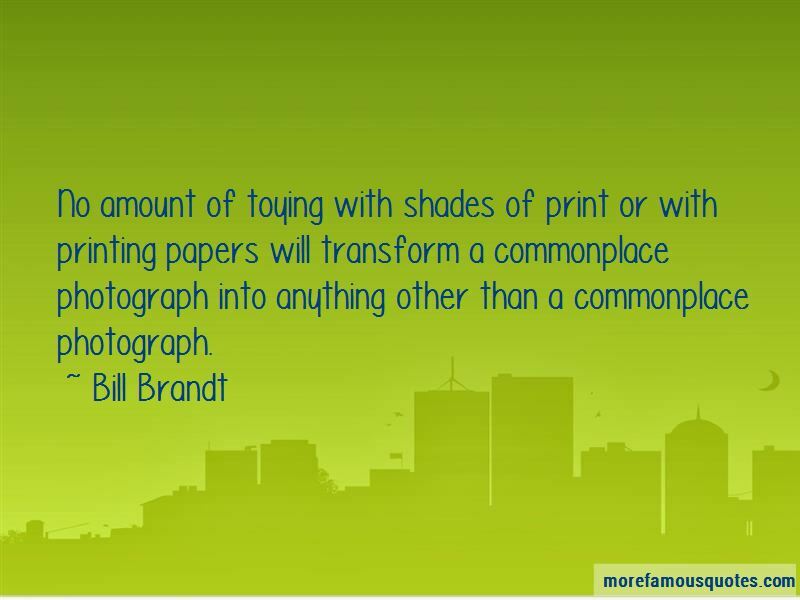 Want to see more pictures of Bill Brandt quotes? 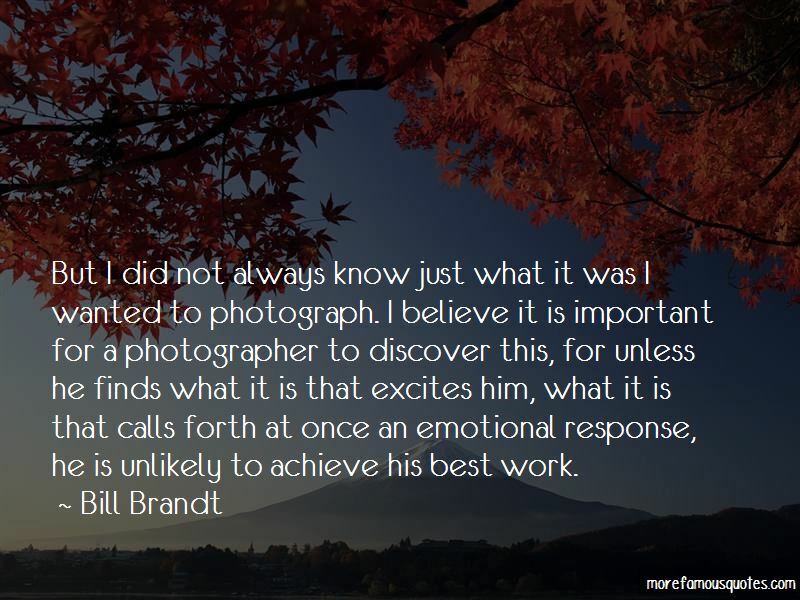 Click on image of Bill Brandt quotes to view full size.